Here's another way to make a difference for #ReliefPH rebels! "A Fundraising for Yolanda Victims"
Black Foto Studios & Toni Rodriguez MakeUp Team are tying up for the Project Portrait for a Cause this Nov 23, 2013. 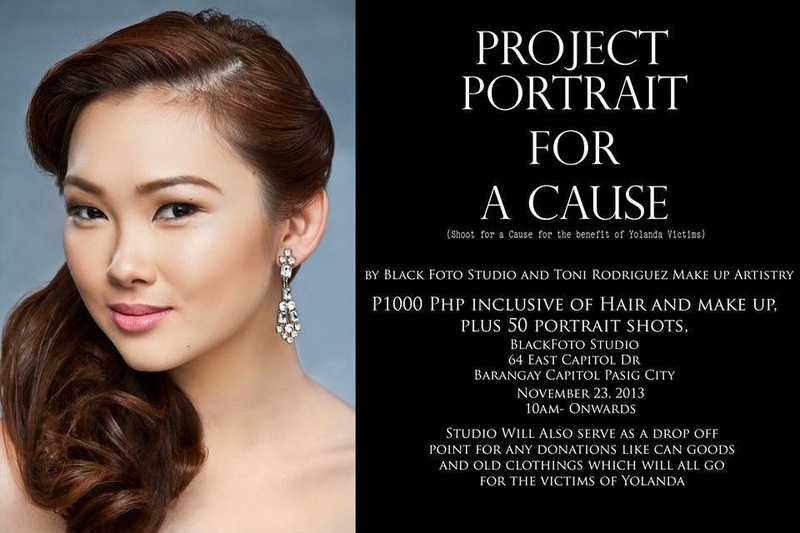 For only Php1,000 you get to have a professional head shot with complete hair & makeup and at the same time you get to help our brothers & sisters who are victims of the typhoon Yolanda. All proceeds will be donated to them. Let us please help them in whatever way we can. Our studio is also a drop off location for any donations you can give, foods, clothes, blankets etc.